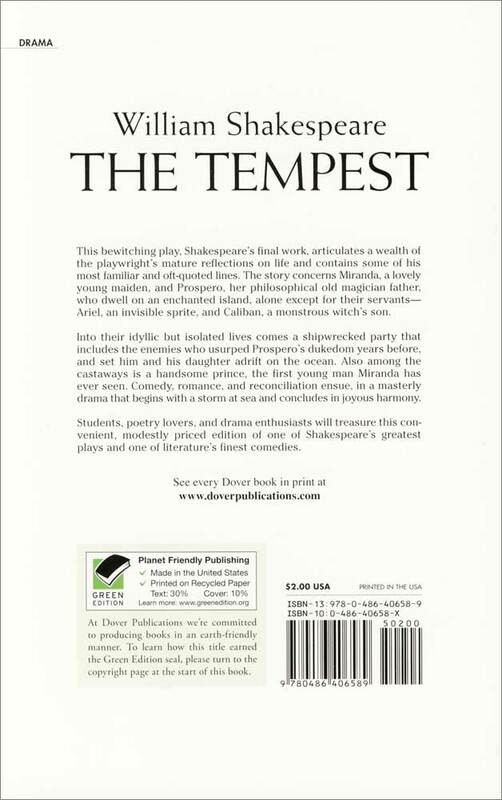 This bewitching play, Shakespeare's final work, articulates a wealth of the playwrights's mature reflections on life and contains some of his most familiar and oft-quoted lines. 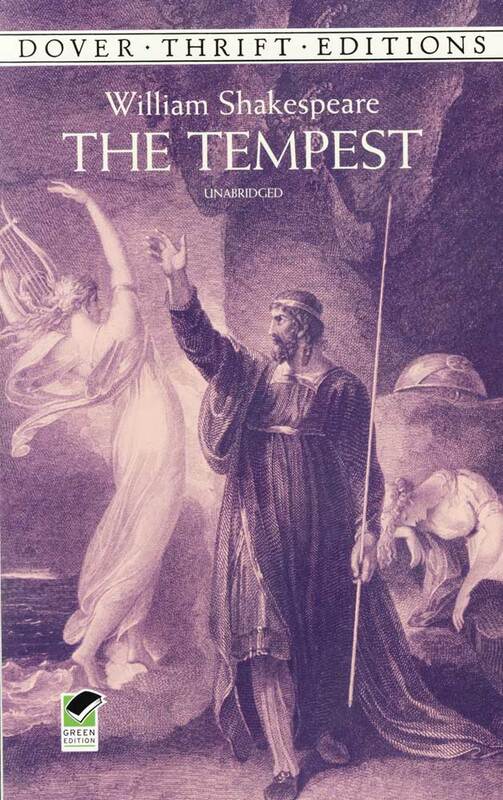 The story concerns Miranda, a lovely young maiden, and Prospero, her philosophical old magician father, who dwell on an enchanted island, alone except for their servants—Ariel, an invisible sprite, and Caliban, a monstrous witch's son. Into their idyllic but isolated lives come a shipwrecked party that included the enemies who usurped Prospero's dukedom years before, and set him and his daughter adrift on the ocean. Also among the castaways is a handsome prince, the first young man Miranda has ever seen. 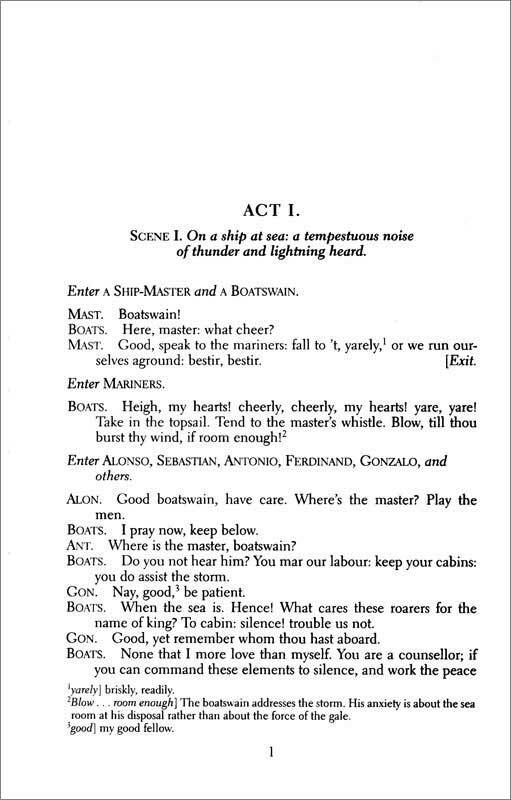 Comedy, romance, and reconciliation ensue, in a masterly drama that begins with a storm at sea and concludes in joyous harmony. 1999. 68 pages, paperback, 5 by 8 inches, middle school/high school.